ALL Campers: Check In Sunday 1-2pm at the dorms, Check Out Thursday 4pm at the courts. Day Campers: After the first day, campers should be dropped off at 8:50 AM each day and picked up at 4pm each day. Check out on Thursday is at 4pm at the tennis courts. The ITA Summer Circuit Event held at Georgia Southern University in Statesboro will be from July 13-15. For more information on that please contact Coach McCaffrey. Sign up for the first week of camp from July 7-11th to help prepare you for the ITA Circuit Event! At approximately 215,000 square feet, the Recreation Activity Center at Georgia Southern has a vast array of activities for students to engage in. 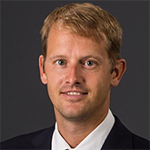 Alexander “Sander” Koning was named Georgia Southern’s head men’s tennis coach in February 2015. After a rocky start to the 2017-2018 season, Koning and the Eagles turned it around finishing the year 13-12 and returning to the conference tournament as a No. 5 seed. Koning was named Co-Coach of the Year with rival head coach Jonathan Wolff from Georgia State. During the 2016-17 season under Koning, the Eagles posted a 19-12 record overall. The 16-17 season was a historic one for the Blue and White, as they became the first team since 2000 and 2001 to post back to back winning seasons. They also were the first team since 1983 to post an undefeated home season, as well as earn their first Sun Belt Tournament victory in New Orleans. The victory in New Orleans came as a six seed, upsetting defending conference champions UT-Arlington. During his first full season at Georgia Southern (2015-16), Koning helped the team post the best program record in 28 years, going 15-8. Since his time as an Eagle he’s coached two players on the Sun Belt All-Conference Team, and both years men’s tennis topped the charts for the highest men’s team GPA at Georgia Southern. Prior to Georgia Southern, Koning served as assistant men’s tennis coach at Indiana University, where he helped with the planning and administration of all facets of the program. While serving as the team’s liaison with the compliance department, Koning also was responsible for nutrition and conditioning. In addition, he managed the equipment budget and helped with the management of the recruiting and travel budgets. Prior to his time at Indiana, Koning was the assistant men’s tennis coach at Old Dominion University from 2011-14. While at ODU, Koning was instrumental in improving the team from being unranked to a season high ranking of 54 in 2013. The team also achieved its highest GPA in program history. Fluent in Dutch and English, Koning has recruited extensively throughout the United States and Europe. He has also created and managed the competitive player matrix, which identifies a player’s position in the lineup based on statistical numbers gathered from daily practices and official matches. During his tenure at Old Dominion, Koning coached three all-conference team selections and four conference all-academic team members. Carlos Lopez-Villa, ranked as high as 30th, was an All-CAA and All C-USA selection in 2012, 2013 and 2014. Lopez-Villa also won the prestigious ITA Regional Singles Championship in 2013. As a student-athlete, Koning competed at Clemson University at the No. 1 singles and No. 1 doubles position. A two-time All-ACC Player (2003, 2005), Koning was also a four-time selection to the All-ACC Academic Team (2002-06). A sport marketing major, he was a member of the Student-Athlete Advisory Committee and was selected as the men’s tennis team captain in 2005-06. Koning has played professionally and earned ATP points in professional club tennis competitions and tournaments. In his first season with the Eagles, McCaffrey led the Blue and White to a 14-7 record and was able to pick up their second tournament victory in as many seasons. The Eagles tough slate in 2017 had three NCAA tournament teams and featured programs from multiple Power 5 and Group of 5 conferences. McCaffrey led the Eagles to six match winning streak heading into conference play and upset the No. 8 seeded Louisiana, 4-2, in the first round of the Sun Belt Conference Tournament. With the Eagles finishing 14-7 on the season head coach Sean McCaffrey collected his 400th career victory at the collegiate level and now posts a 402-226 (.640) record in his fifteen years. Sean McCaffrey joined the Georgia Southern athletics department in June 2017 as the head women’s tennis coach after three highly successful seasons as head men’s and women’s tennis coach for Armstrong State University in Savannah. 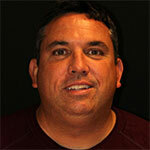 In his first season at the helm of Armstrong State, McCaffrey led the women’s tennis team to an unbeaten 32-0 record. The Armstrong State men also enjoyed a successful season, finishing as NCAA DII semifinalists and a final No. 3 national ranking after going 24-5. The 2015-16 season saw Armstrong State women’s tennis team finished 31-1 and featured three of the Top 10-ranked singles players in the nation, including PBC Player of the Year Lena Lutzeier. The men advanced to the NCAA Semifinals for a third straight year, finishing the season with a 26-3 record and a final No. 3 national ranking. In his final season with the Pirates, McCaffrey led both the women to the NCAA Division II National Semifinals while the men advanced to the Round of 16 before bowing out. The women posted at 26-5 record in 2016-17 while the men went 20-8. The Pirates’ program ended after those losses due to the consolidation between GS and ASU, but McCaffrey was announced as the Eagles’ head coach on June 1, 2017. His final tally as the head coach at ASU was 89-6 (.936) with the women’s program and 68-16 (.809) with the men’s program for a overall tally of 159-22 (.878). McCaffrey joined Armstrong State in 2014 from Division I Wright State University, where he served as the head men’s and women’s tennis coach for six seasons. As the head coach for Wright State, McCaffrey was named the 2012 Horizon League Men’s Tennis Coach of the Year for leading the Raiders to the program’s first regular season Horizon League title and an overall record of 18-5. Overall in his six seasons, McCaffrey accumulated a 78-69 record with the men’s program (.531).